Because that doesn’t sound questionable or shady at all! The Tea Party: It’s the Publishers Clearing House of politics. UPDATE: I Googled around to see if this thing has been published anywhere else. See if you can guess what the first result was. 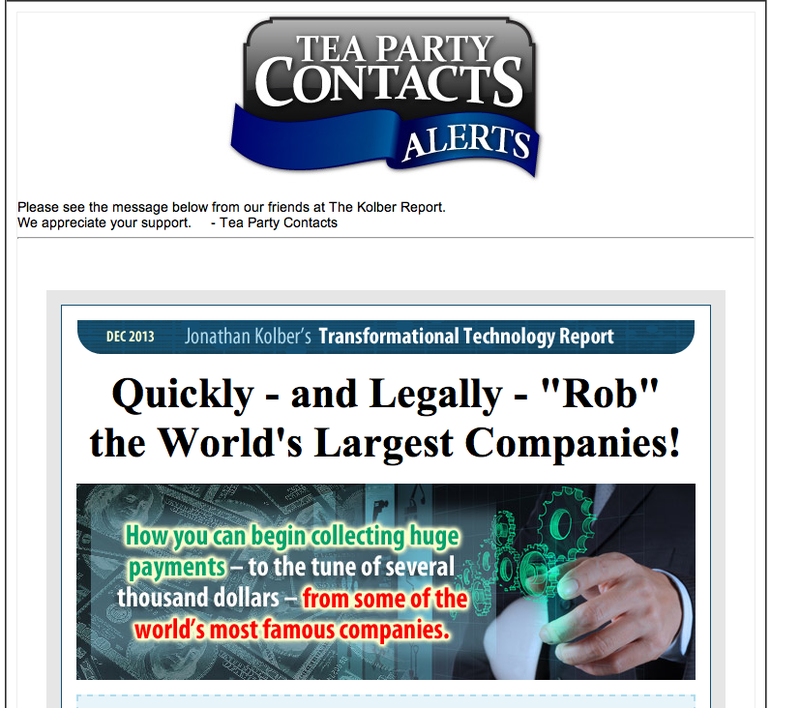 This entry was posted in Uncategorized and tagged scam, Tea Party on December 18, 2013 by Stephen Silver.